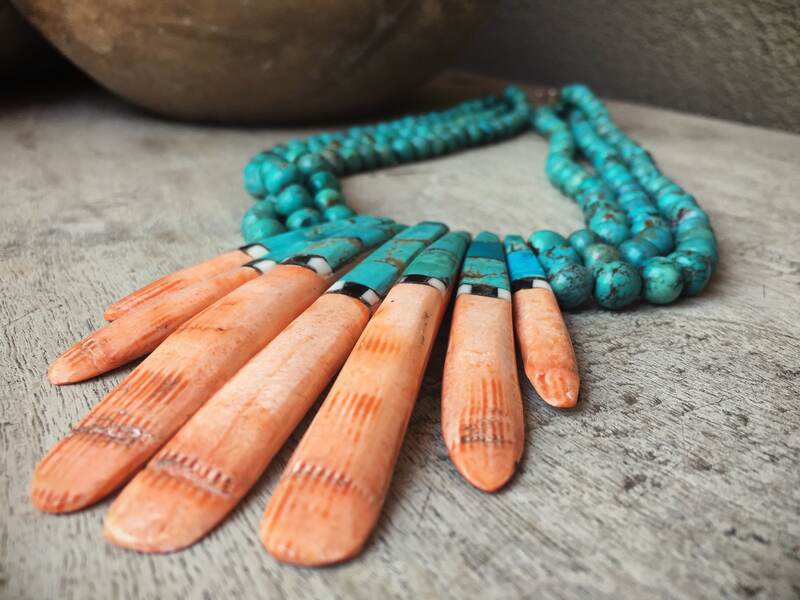 In this 1980s ceremonial necklace created by Santo Domingo Delbert Crespin, long fingers of spiny oyster shell are carved out so that high grade matrixed turquoise, jet, and white shell, can be inlayed onto the fingers. 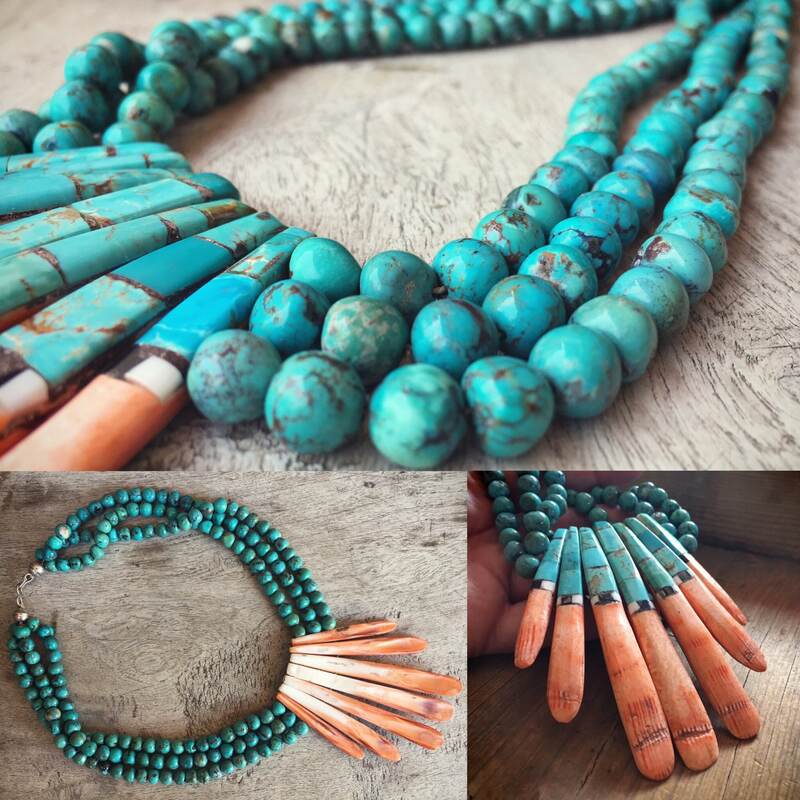 Gorgeous turquoise beads--each shaped by hand and also high grade and with matrix throughout--form three strands leading to the clasps. The beads are what add so much value to this piece, as finding high grade turquoise today, in this quantity, is rare. 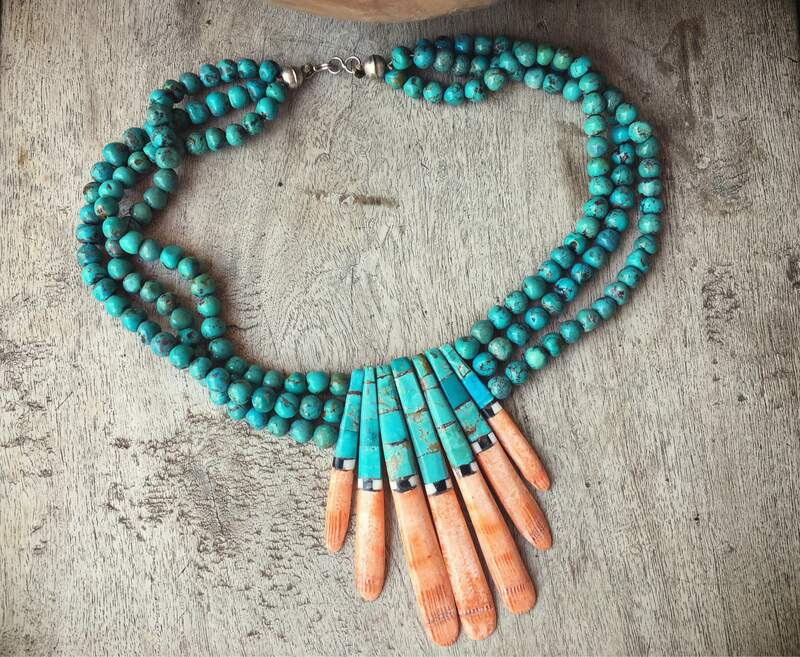 The artist's most recent pieces use the same basic design yet many other gemstones--you'll be hard pressed to find one with this much turquoise!--which makes them more colorful and one might say more fancy, often reversible (which this piece is not). Yet, what I love about this necklace is the simplicity, which for a ceremonial necklace--something already quite elaborate--is uncommon in today's market. The piece came to me from a friend who owned the necklace for 30 years and decided to sell it given that she is downsizing and moving from New Mexico. The seven spiny oyster "fingers" make up the "pendant." Those fingers together measure 3" across at the widest point by 3-7/8" tall. 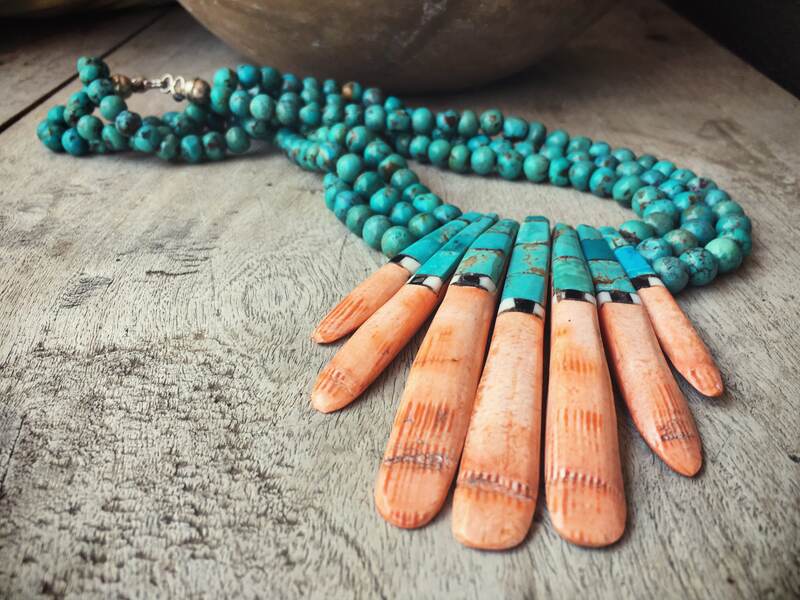 The three-strand turquoise bead necklace measures almost 19" from clasp to clasp. Overall in good vintage condition. 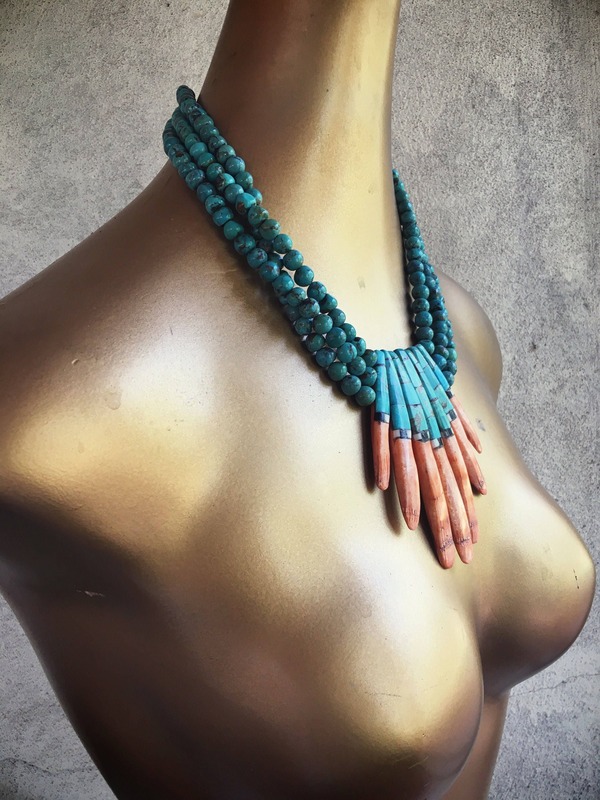 An amazing piece of artistry for the person who loves and collects unusual, one-of-a-kind Native American jewelry.